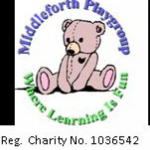 Middleforth Playgroup offers early years foundation stage provision to children aged between 2-4 years of age. We are a well established and experienced community based nursery provider which has been running for over 40 years from St. Leonard's Church Hall in Penwortham. We offer part-time early years provision which runs from 9.15am to 12.15pm, Monday to Friday, term time only. Our recent Ofsted inspection (November 2018) rated us as 'Good', stating that "Staff offer children and their families a warm welcome to playgroup. Children arrive happy and confidently join in with the activities available. The well-established keyperson system helps children to form secure attachments and promotes children's confidence to explore." We have an open door policy and welcome any parents and children who wish to have a look around and speak to staff, although it does help us to plan our day if you are able to ring us on 07980954996 to let us know when to expect you. Below are the latest reviews for Midplay. Please note that reviews represent the subjective opinions of other Childcare.co.uk users and not of Childcare.co.uk. Parents must carry out their own checks and references on childcare providers to ensure that they are completely happy before enaging in the use of their services. My little girl has been coming for nearly a year now and even tho she was unsettled for the first 6 weeks she has settled so much now and that is due to the helpful and kind staff they have there. I have been so happy to leave her there which was hard at first. She has developed so much since being there. I recommend to anybody. Lovely playgroup all my 3 children have attended over the years. Plenty of activities and a great outside playarea.